Last month we published a post that contrasted the creative approaches of the original Card Captor Sakura with its new animated incarnation. Today we return with an even more special feature, going in-depth on one of the most spectacular long running shonen anime of all time; a look back at the special charm it holds, the circumstances of its production, and the talented creators that made it such an unforgettable experience. Happy 25th birthday, Yu Yu Hakusho. Year 1992. The second Saturday of October, thus around the start of anime’s fall season. A date equivalent to today 25 years ago, although that one happened to be the 10th instead. 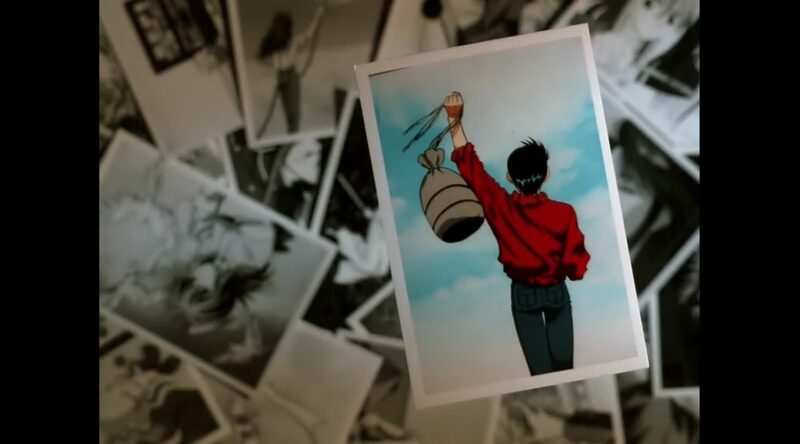 That day marked the start of Yu Yu Hakusho’s broadcast, hence its current anniversary campaign that promises new developments. The future is uncertain, but this feels like a good moment to look back on the past instead. Yoshihiro Togashi is widely considered one of the most brilliant authors to have ever contributed to Weekly Shonen Jump, and although Yu Yu Hakusho isn’t as thematically tight and poignant as Hunter x Hunter, it’s still heads and shoulders above its competition. 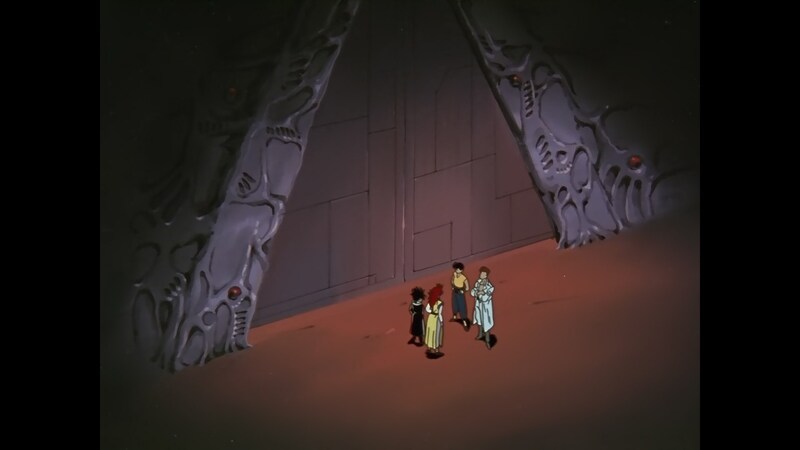 It set many staples of modern action series that others have kindly borrowed, and even made an asset out of aspects that are usually shortcomings; tournament arcs don’t have the greatest reputation when it comes to this genre because they essentially nullify adventure, but their construction and the distinct personality they had allowed them to function as Yu Yu Hakusho’s backbone – the show even peaked within a tournament! But general merits of the series aside, I’d like to focus on the adaptation in particular. Not only because that’s the one celebrating its birthday, but rather because it’s an excellent example of an adaptation elevating its source material through enhancement rather than outright revolution. While respecting the original and its straightforward nature, the team led by Noriyuki Abe at Pierrot put together a production so densely packed with fascinating details that we would have no doubt covered it weekly on this site if it were to air today. Hardly the most prestigious recognition the series has received, but I bring it up because there are few long-running series that could withstand that treatment; when you’re producing anime for an indefinite period of time management is key, which is a nicer way to say that you’re forced to cut corners in a major way. Strict, spacious staff rotations are set, and most teams are forced to hold back unless they’re dealing with a climactic moment. While that remains a factor in Yu Yu Hakusho, its effects were less pronounced than…arguably any of its peers, to be quite honest. Other long action series with consistently spectacular action have appeared since – BONES’ terrific effort on Full Metal Alchemist Brotherhood comes to mind – but there might not be any other case where all departments, from directors to the animators themselves, hit it out of the park with such consistency. 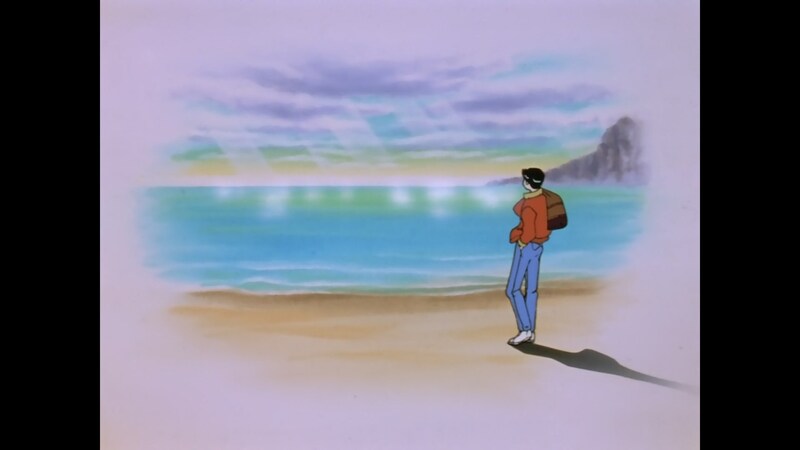 And so we’d like to look back on exactly what made Yu Yu Hakusho such a special series. There are dozens of truly extraordinary episodes that would warrant articles of their own, but to avoid turning this into a novel-length feature we’ve been forced to cherrypick the moments that get across the particularities of the project and its creators, the trajectory they followed, and the appeal the series as a whole holds. Enjoy the ride! 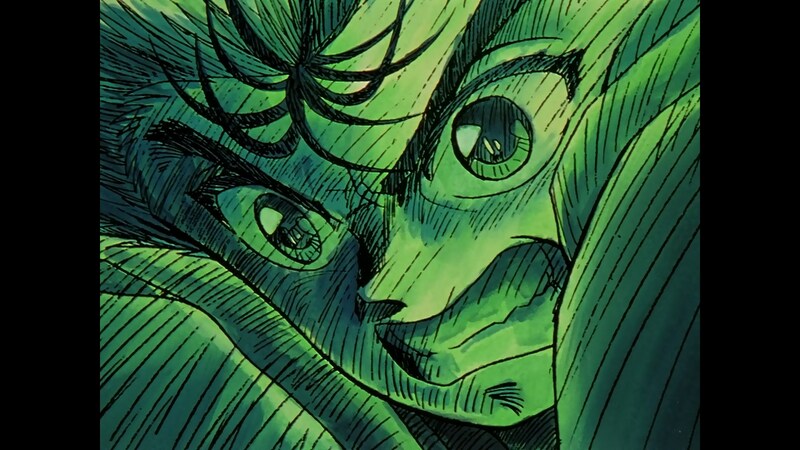 As much as I’ve already praised Yu Yu Hakusho as an extraordinary series, the first episodes are relatively tame. Thankfully there’s plenty to like, even before it finds its feet as a production. The banter between protagonist Yusuke Urameshi and Kazuma Kuwabara, the man who believes himself to be his fated rival, is immediately charming. They’re only the first two members of a crew of misfits that believably grow closer together, even though they would tease each other until the end of time. Yusuke himself is quickly established as a good person who will push himself to do heroic deeds, but isn’t necessarily a hero; as the story progresses it becomes increasingly obvious that he’ll selfishly chase opportunities to fight to satiate his desire even if that has net negative impact, a flaw in his personality the series openly acknowledges. That’s something that even Dragon Ball could have taken into interesting directions had Toriyama cared about it (and his disinterest is perfectly fine too), but I personally I always enjoy seeing that concept explored. The first 13 episodes set those character and thematic foundations, all while delivering a reasonable dose of action that is 50% bravado, 40% convenient power-ups, and 10% neat planning. It helps that there’s a sense of effortlessness to its execution since the very beginning, as if it were simply natural to pull off a good shonen experience. Not exactly what you would expect from a team led by a newbie, although that makes more sense when you consider that the debuting series director was Noriyuki Abe. It had only been 6 years since he had joined the industry through studio Pierrot, where he debuted as episode director and storyboarder with Norakuro-kun – in episode 12 to be precise, after having served as assistant for #3. Abe quickly became a regular on that position, and although he left the studio in 1990 to become a free agent, his career has always been tied to Pierrot’s iconic action series. And Yu Yu Hakusho was precisely the first one he directed, at the age of 31. Ever since then he’s handled the likes of Ninku, Bleach, Recca, Arslan, plus some titles that fall outside his usual area of expertise like GTO, Tokyo Mew Mew, or Kuroshitsuji. His resume is extensive, and when it comes to long running shonen anime, very few people are trusted as much as he is. He may not have the idiosyncratic touch to wow every fan with his storyboards, or the brilliant mind to enrichen the themes of all his projects, but there’s undeniable value in bringing to life many action behemoths that multiple generations have grown up with. Right now he’s acting as Boruto‘s chief director, with the explicit goal of managing the production so that the much younger Hiroyuki Yamashita can focus on his creative vision. It’s honestly rewarding to return to Abe’s major debut now that we’re in an era where his skills in this area are so valued that he was sought to sustain Naruto‘s successor. Rather than being simply neat trivia, Noriyuki Abe’s inexperience plays a role in this early evolution of the series. Not only was he directing a show for the first time, the crew he was commanding was full of youngsters too. Even those who would go on to become Yu Yu Hakusho‘s emblematic aces had very little experience on their posts at the time. And so they needed some time to polish up their skills and simply gain confidence, which tends to be a greatly undervalued aspect when it comes to young creators. It’s hard to pinpoint the moment when they crossed the threshold into greatness, but early highlights in many aspects are found in episodes like #21’s climactic end to its particular mini-arc, and #23’s space-bending animation. 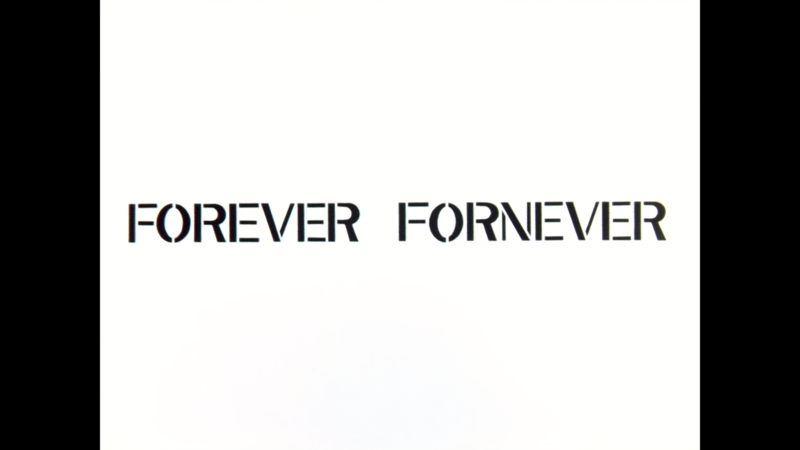 Not by coincidence, these were penned by the people who would become the show’s most valuable duo. Slowly but surely they had all been gaining confidence, and by this point they were ready to make history. And so we arrive to the most critically celebrated and by far the longest saga in the series – a bit of a tradition when it comes to Togashi, considering how beloved Hunter x Hunter‘s Chimera Arc is. 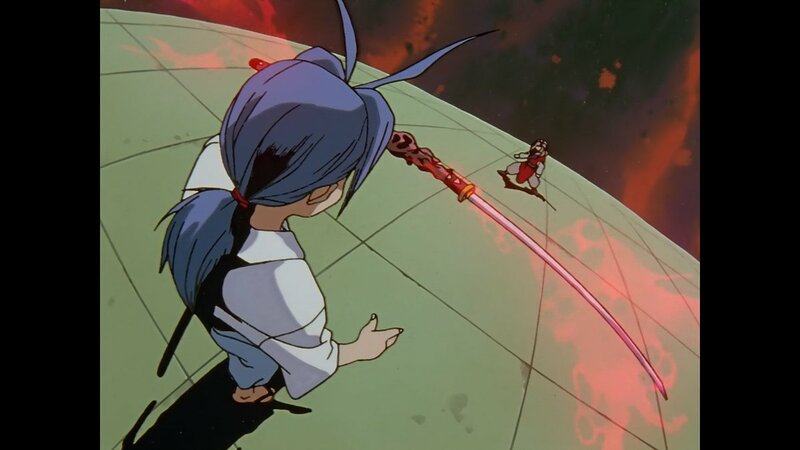 Although there is plenty to enjoy in this Dark Tournament our heroes are coerced into, which is why it was a fan-favorite in comic form to begin with, it’s the anime that elevates it to heights that the genre has arguably never reached again. 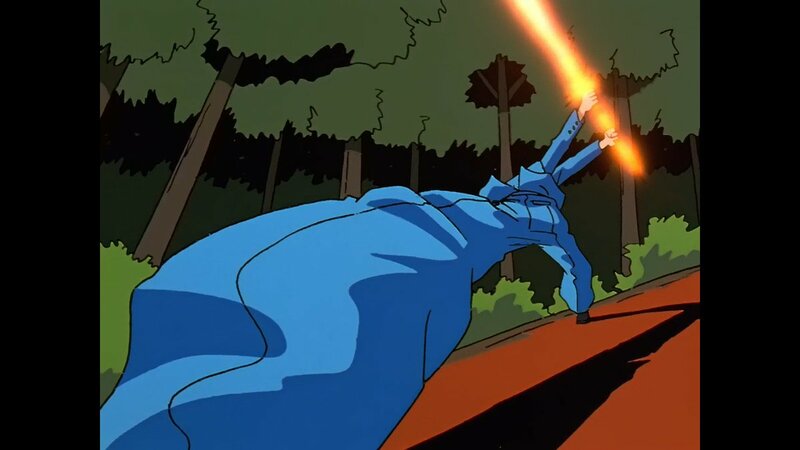 The production gains momentum as the arc itself does, to the point of shattering the theoretical limits of a project like this; genuine highlights happen so often that they become the new normal, the show’s aces keep delivering faster than it should be possible, and all creators involved treat each new episode as a chance to best themselves and everyone else. Spearheading this ridiculous dynamic we find two names: Akiyuki Shinbo and Atsushi Wakabayashi. These two overlapped for the first time on episode 12, but it wasn’t until #30 that we witnessed something fully handled by them. And what an episode that is. The duel between flame users serves as a neat presentation of Shinbo’s work in particular. Of course the man himself needs no introduction, since right about everyone who pays attention to anime creators is aware that he’s studio SHAFT’s headmaster, but curiously enough his own idiosyncrasies remain relatively obscure; as we’ve discussed before on the site, what is assumed to be “Shinbo’s style” is actually closer to a watered down version of his pal Tatsuya Oishi’s quirks, with whom he actually grew closer with during the production of this show. 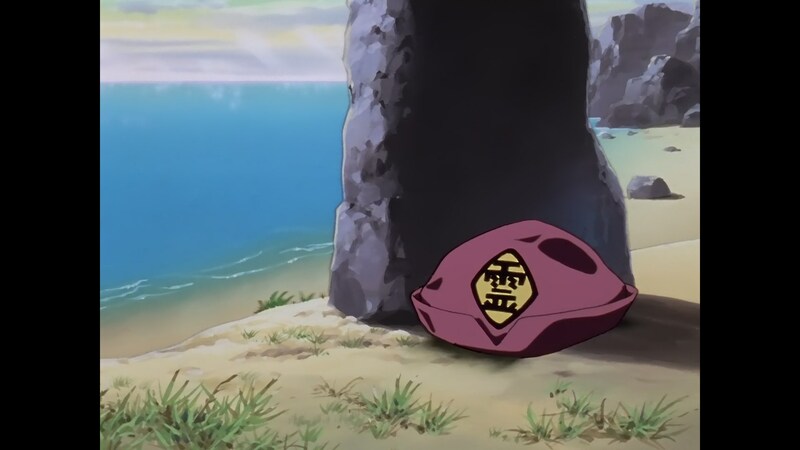 Shinbo’s actual voice, which is most clearly heard during this show and in Tenamonya Voyagers, is notoriously different. As episode 30 shows, he’s fond of contrast to an almost aggressive point – chiaroscuro-esque drawings or otherwise anthithetical palettes, expressions that melt into effects and serve as the accents over bold colors, even unashamed flashing effects become a recurring trick. Shinbo demands his work is burned into your brain, even if your retinas have to be collateral damage. Rather than the first depiction of Hiei’s iconic Dragon of the Darkness Flame, it’s the rival’s descent from overconfidence to sheer terror when he’s about to use it that put his talents to best use. From this point onwards in particular, almost every climactic moment in the series is defined by this unforgettable approach, adorned by some Dezaki floritures as well. Although on a different front, Wakabayashi’s output made as much of a difference. I would mark episode 35 as his breakthrough, though it’s #41 that might leave you speechless for the first time of many – both of them produced alongside Shinbo, as would become the norm. The elasticity of his animation makes his sequences unconcerned by realism carry a curious sense of momentum, while flowing in a fantastic manner. That’s of course also perfectly fitting for bouncy comedic cuts, which he always made an effort to include. In still form he’s also a game-changer, as he made sure that the reaction shots to bone-chilling events were unsettlingly detailed. Even the way things are framed changes when he’s helming an episode; no matter the instructions in the storyboard, Wakabayashi constantly distorts the layouts to physically impossible degrees, creating imposing shots that often articulate the power dynamics at play. He achieved this all with tremendous speed, to the point of animating Yusuke’s torturous conquer of his new powers in episode 47, then supervise the entirety of #48. Truly the show’s animation leader! It’s interesting to think that it was Shinbo who invited him to the project, since Wakabayashi then would keep on refining this approach on Pierrot’s works, peaking in Naruto’s most emblematic episodes. And not only that: alongside his friend Norio Matsumoto (with whom he worked a lot on those Naruto episodes), they also unknowingly started to define the predominant style of digital animation stars nowadays, even though their work was obviously analog. So if you ever see someone writing off Wakabayashi as the director of the Garo series no one liked, keep in mind that he’s an actual legend with tangible effects on the industry. And Yu Yu Hakusho is arguably where it all started. Shinbo and Wakabayashi’s collaborations continued with fantastic outings like #52: a visceral fight to the death that portrays Toguro as the cruel, insurmountable wall he’s become, while maintaining the solemnity that Genkai’s death deserves – though we all know what Togashi had to say about that. If we were to single out an episode however, it would have to be #58. Not only as a highlight in this show, but for shonen anime altogether. 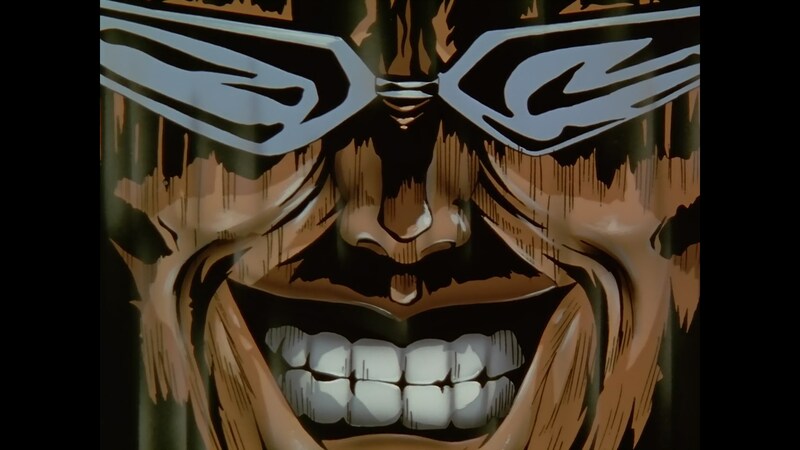 There’s much to be said about this episode, where Shinbo’s idiosyncrasies are geared towards evoking an actual hell from which Hiei draws his dark flames. 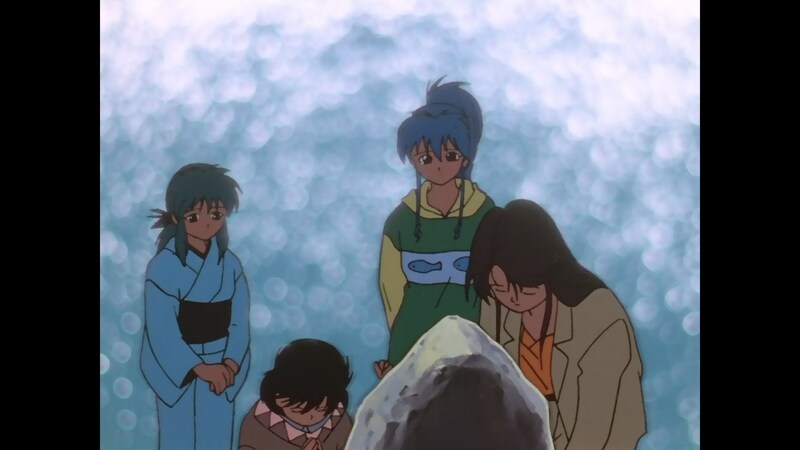 The animation is equally masterful and surrounded in amusing anecdotes; for example, the fact that a euphoric Shinbo originally requested Shinsaku Kozuma to animate about a hundred cuts spanning essentially the first half of the episode, which led to him asking for help to the likes of Atsuko Inoue as he was only able to draw 20~30 cuts himself. In spite of that, and how this was the only time he contributed to the TV series, Kozuma’s depiction of Hiei’s flames was so striking that it’s forever tied to the image of the character. When people think of the Dragon of Darkness Flame, this nightmare of flashing effects is what comes to mind. Wakabayashi is everpresent in it not only through obvious corrections, but also the second half of the fight that he personally commanded. The uneven hand-to-hand confrontation might not be as well-remembered, but it embodies all his fascinating quirks nonetheless. It’s worth noting that this all occurs within a small space, with no actual tactics coming into play. And that’s no exception, but rather how the action of the series as a whole operates. There aren’t complex setpieces, not shocking twists and turns, and yet these are some of the most memorable anime fights. That alone speaks volumes of how strong the presentation is. From beginning to end, this episode is a thrilling ride that justifies the show’s reputation. Though of course, the miraculous duo isn’t all there was to the series. Its continuous excellence couldn’t be achieved with just one exceptional team, despite them having full control over the most important moments. A certain quote by renowned animator Tetsuya Nishio keeps being brought up as a way to explain the outrageously strong production; according to him, there was a friendly sense of rivalry directed towards the ace couple that pushed everyone to deliver increasingly stronger work, while they all tried to outdo each other. The message you should take from this isn’t just that their performance was so strong because they were very motivated: that’s always a dangerous train of thought, since it implies that weak or otherwise troubled anime productions earn that destiny because their creators simply don’t care enough. Instead, it’s the fact that their rivalry was born from admiration, and thus they all learned from Shinbo and Wakabayashi. The aforementioned Nishio polished up his skills a lot throughout the project, but animation-wise I would point at Masayuki Yoshihara as the most interesting case. He absorbed Wakabayashi’s idea of elasticity and made it his own like no one else in Yu Yu Hakusho, spreading it to episodes where the top animator couldn’t contribute. Chances are that you know him as one of P.A. Works’ founding members and the series director of the brilliant Eccentric Family, but during this series you can enjoy his output as a promising young animator instead. And when it comes to the directional lineup, we can’t forget about the late Kazunori Mizuno. While he maintained a style of his own, Shinbo’s approach to color had an increasingly stronger effect on his episodes, which he actually maintained during much of his career. At the end of the day, it’s not surprising that long-running anime has rarely ever had arcs this impressive. It took a miraculous combination of healthy production circumstances, talented youngsters with an identity of their own, and the kind of environment that allowed them to do their own thing to enable this. And as the show itself proved later, that’s not an easy balance to maintain. And truth to be told, it’s not just the action that made this saga work so well. The quiet epilogue, which you won’t be surprised to hear was in the hands of Shinbo and Wakabayashi, shows how wide the range of the series was. And above all else, the whole arc is brimming with personality that manifests itself in many ways. The amusing presenters are given much more life than they originally had; even during the grand action moments they get to show off their personality just as much as the combatants, to a degree that makes it obvious that the anime staff appreciated them a lot. The potentially sterile tournament format isn’t an issue at all thanks to the diverse foes they’re forced to face, and the presence of just enough intrigue keeps you wondering exactly what is going on. 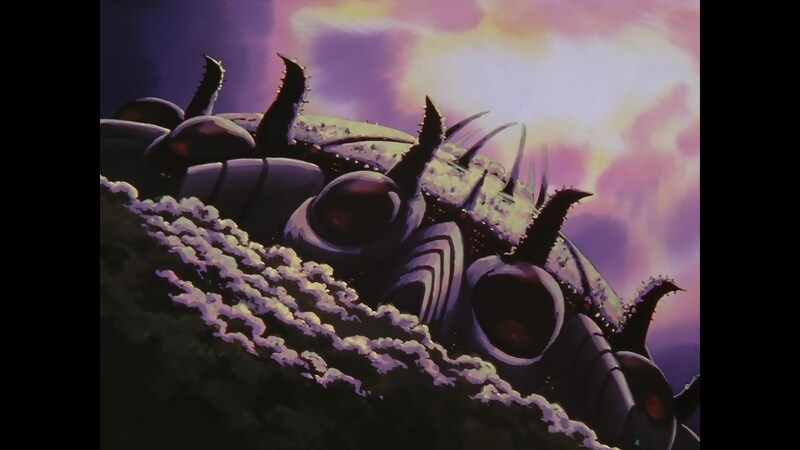 The setting itself also escalates as the intensity of the fights do, since they eventually move to this ostentatious, fleshy horror monstrosity for the final rounds. It’s a shame that the original art team called it quits right after the end of the tournament, since that’s yet another small factor in the relative downfall we’re about to tackle. 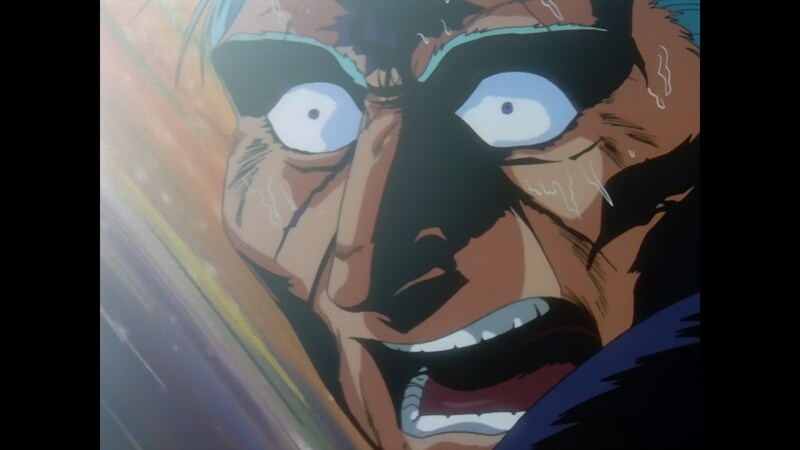 While it’s unquestionable that Yu Yu Hakusho peaked as an anime production during the Dark Tournament saga, its end didn’t mark a sharp decrease in quality. The series is at its weakest still a solidly above average representative of its genre, and its decadence was a very gradual process to begin with. In fact, some of its most inventive directional efforts (which means some of the strongest in action anime altogether) happen in the Chapter Black saga, particularly so when the curious new sets of abilities come into play; these are closer to Togashi’s modern conception of action, which is less concerned about physicality and more interested in game-like rulesets that enable very diverse abilities. Those are then used in confrontations that sometimes are more akin to puzzles, in a way similar to Hirohiko Araki’s work. 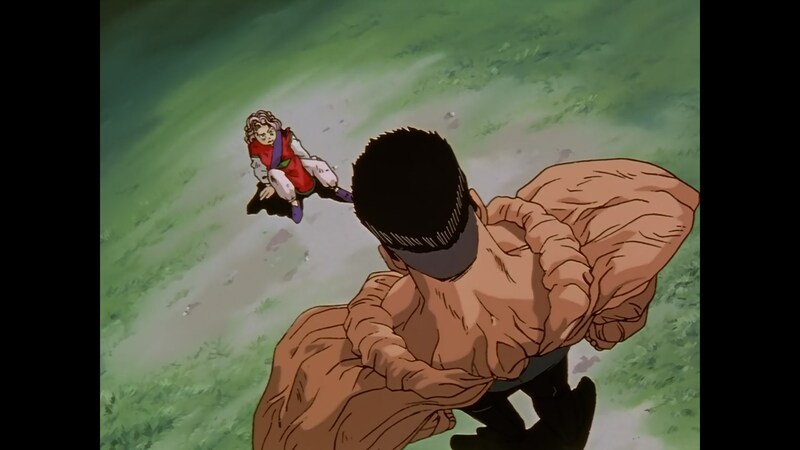 That mentality still felt undercooked at this point and Yu Yu Hakusho never truly abandons the good ol’ punching and blasting – which it’s quite good at! – but the further into the series you go, the more noticeable his evolution becomes. And beyond the fights themselves, Chapter Black has some of the more climactic turns of events in the whole series, which the anime was still capable of imbuing with immense gravitas. All things considered, this is a very pleasant downward slope rather than a sharp cliff. When it comes to those highlights, the fight against The Doctor in episode 74 might very well be most notable of them all. The chase and action sequence building up to it in the previous episode – Masayuki Yoshihara’s final contribution to the series, after having been a trustworthy regular – lead to a situation Yusuke hadn’t experienced before. He had been fighting demonic creatures all along, but this time he’s forced to face a human who threatens to kill his friends and innocent bystanders. His heart is clouded and so shadows take over the episode, arguably crafting the most cohesive episode in the entire show. Sadly, this memorable experience is very important for another reason: it was the last episode Wakabayashi supervised. As if to make up for that, he pulled off one of his most impressive feats overall. From the copious amounts of background animation, tied to the fact that The Doctor has weaponized the hospital itself, to the final punch heavy with emotion, it’s all a worthy adieu. A tragic departure for sure, as it also intensified the trend of talented people leaving the project, but a goodbye that was up to his standards for sure. You might be wondering what happened to Shinbo after his trustworthy companion parted ways. Well, while he technically stayed, he gradually left the spotlight too. The last episode he had full control over was #82 (which also had Wakabayashi’s final contribution to the show altogether), and then he went on to only collaborate with other directors. 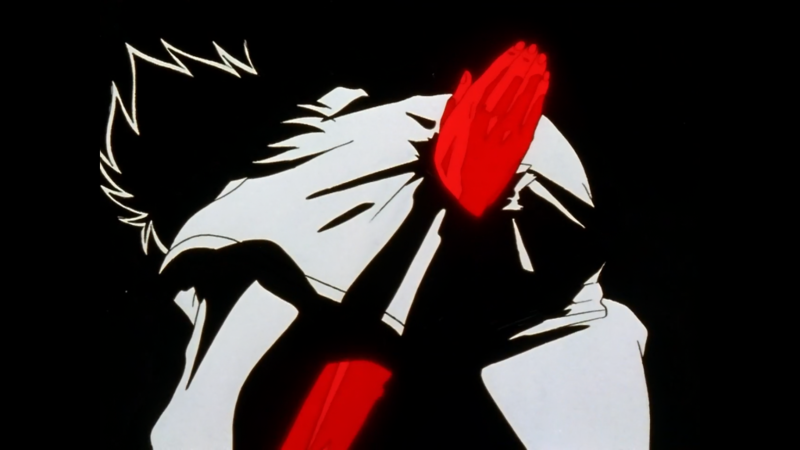 Sometimes that had excellent results, like his final storyboard depicting Yusuke’s death before being reborn – a breathtaking moment that’s easily amongst his strongest work ever. But that was his last major hit, as he barely contributed notable content in the last ~20 episodes. The departures did have a bright side, since they made the remaining artists up their game to try to make up for them. In Nishio’s case, he presented such a convincing case to series director Abe that he would go on to act as character designer on his next series Ninku. All things considered though, it’s clear that the same special magic wasn’t captured again, especially once the final arc started. The Three Kings saga was blatantly unfinished in the manga and the anime only fleshed it out a bit more, to the point of being functional but never noteworthy. Right at the end, Yu Yu Hakusho was reduced to simply being a normal show. Too late for it to impact the show’s reputation all that much, but it’s something that I want to acknowledge as a fan. Not an ideal way to wrap up such an iconic franchise, but after revisiting the series for the third time, I can confirm that it’s still well worth the praise it gets. At worst it will entertain you, and at its strongest it’s an unmatched shonen experience. You’ll find shows with much more complex action, with more unique themes, but rarely any that presents itself with this confidence. Once again: happy 25th birthday, Yu Yu Hakusho. Wondering the strongest episodes of this “2017 Yu Yu Hakusho anime” that doesn’t actually exist, just based of titles and staff alone. I love how Yu Yu Hakusho was so outrageously strong that to even compete you had to come up with this all-stars, basically impossible lineup, lol.